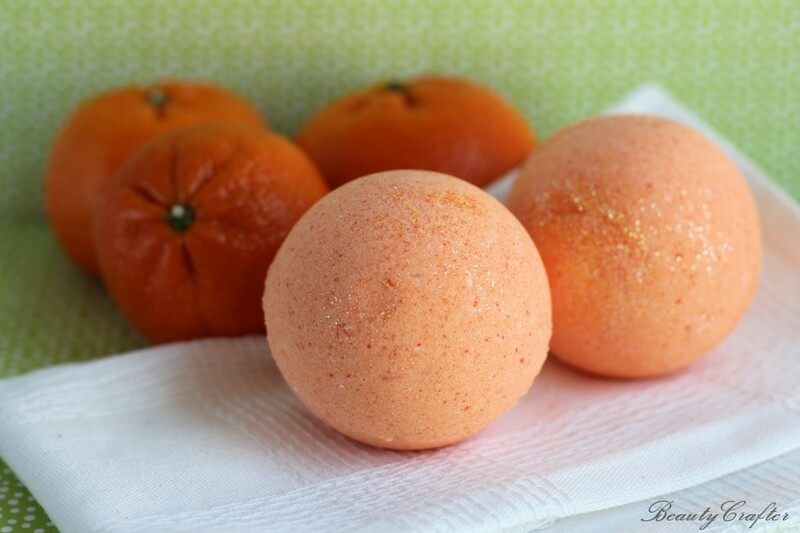 Orange Bath Bombs are therapeutic are a fantastic DIY gift. Make a batch or two of this fun bath bomb recipe yourself! These simple therapeutic orange bath bombs are made to create an uplifting bath experience, and provide a relaxing effect on the body, as well. The orange essential oil in these bath bombs is also great for the skin & there are some indications it may help somewhat with acne too. No worries, while many citrus essential oils are phototoxic, orange is not, making it an excellent oil for bath bombs. Orange (Citrus sinensis) essential oil has a rich, fruity scent that lifts the spirit while providing a calming influence on the body. Orange brings peace and happiness to the mind. It is rich in the powerful antioxidant d-limonene and aids in maintaining normal cellular regeneration. 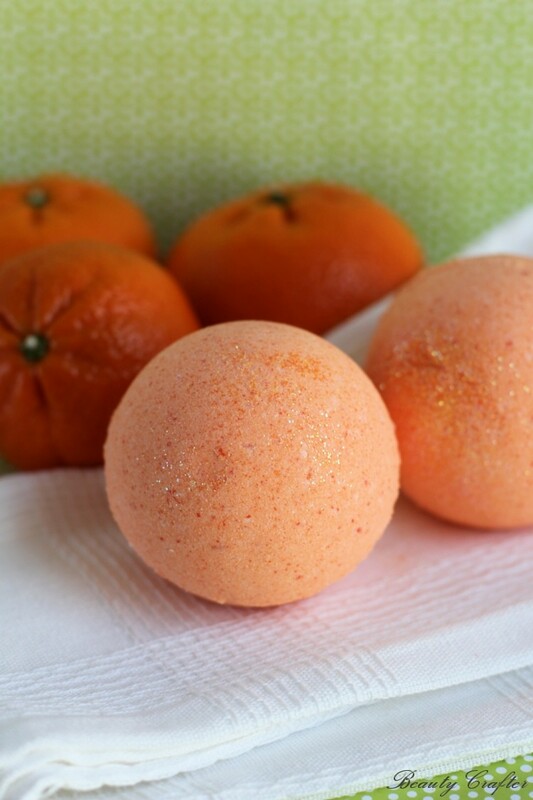 Here is how to make your own orange bath bombs to enjoy or gift. These refreshing therapeutic bath bombs are sure to be a hit. Combine the dry ingredients in a large bowl, and mix well. Whisk together the wet ingredients in a separate small bowl, then incorporate into the dry. Mix immediately as you pour the wet ingredients in. Mix very well. If using glitter or mica, sprinkle into the molds*, then scoop in the bath bomb mixture and press down, repeat until slightly overfilled, then press the two halves together firmly. Set aside a few minutes, then remove top of mold to allow for evaporation. They can be fully removed shortly after, or sooner if need be. Store bath bombs in air tight container or shrink wrap bags to maintain fragrance. *If you don’t have molds, simply place paper liners in a muffin tin and press your orange bath bombs in those. This is wonderful! I can’t wait to try it out! I love Orange! I have to try this! I LOVE the smell of orange bath bombs! Hi. I have an emergency! I made these bath bombs and they started to puff up. I tried putting them in the zip lock bag but it didn’t work. I read it happens because of the humidity, but now I have no idea what can I do at this point. Is this is it? Or can I somehow make it work? Please help!!! Omit the water in the recipe. If the bombs won’t stick together add few drops at a time while mixing, until it just clumps a little with gentle pressure. You could also try adding a little more almond oil, but be mindful that the more oil, the oilier the bath water will be. High humidity may be the issue.